The special issue brings together the most recent work from participants of the Young Scientists Meeting, which PAGES organized from 7 to 9 May 2017 in Morillo de Tou (Spain). The papers address the processes of past climatic and environmental change, the long-term interactions between past climate conditions, environmental changes and human activities, and the abrupt changes in the Earth system. They involve modelling and reconstructions from proxy data and present new developments to improve our knowledge of past global changes. 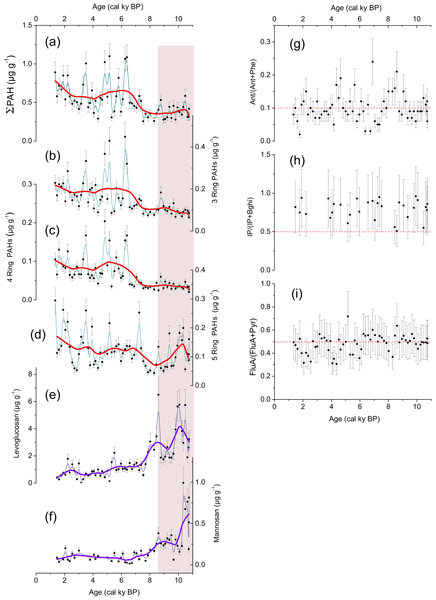 Multiple components of the global climate system record a transition ~ 430 ka from lower- to higher-amplitude glacial cycles. 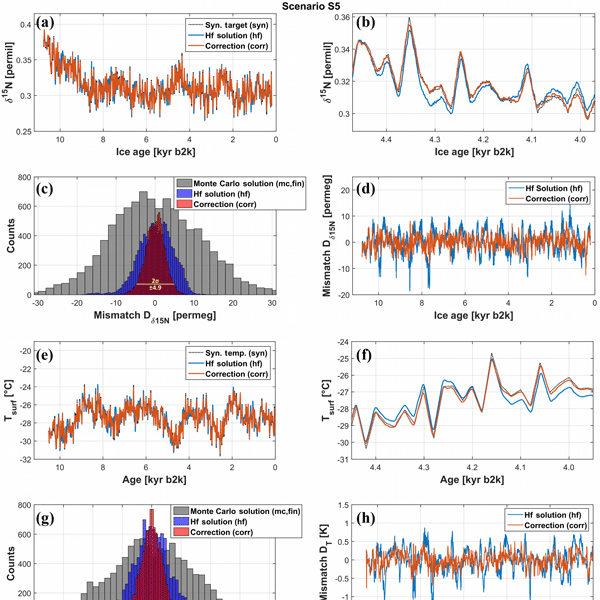 Statistical analyses of globally distributed climate proxies show that a sequence of events including persistent Asian summer monsoons, weak glaciation, and reorganization of water masses preceded the transition to higher interglacial values for temperature, atmospheric greenhouse gases, and sea level. Holocene fires and vegetation are reconstructed using different molecular markers with a single analytical method, applied for the first time to lake sediments from Tibet. 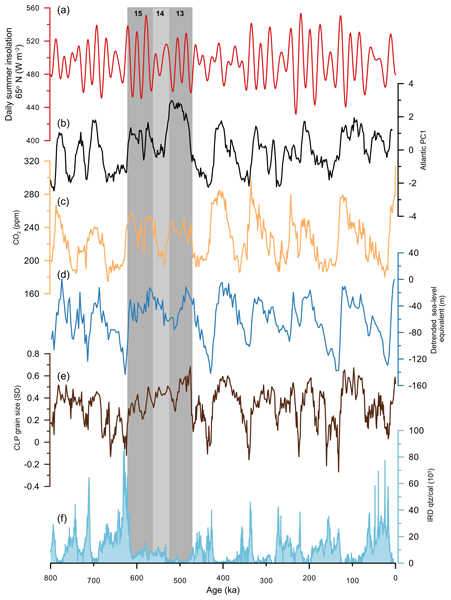 The early Holocene shows oscillations between grasses and conifers, with smouldering fires represented by levoglucosan peaks, and high-temperature fires represented by PAHs. The lack of human FeSts excludes local human influence on fire and vegetation changes. Late Holocene displays an increase in local to regional combustion. Between 4200 and 4000 cal yr BP, paleoecological evidence suggests a megadrought occurred in the central Rocky Mountains and western Great Plains. 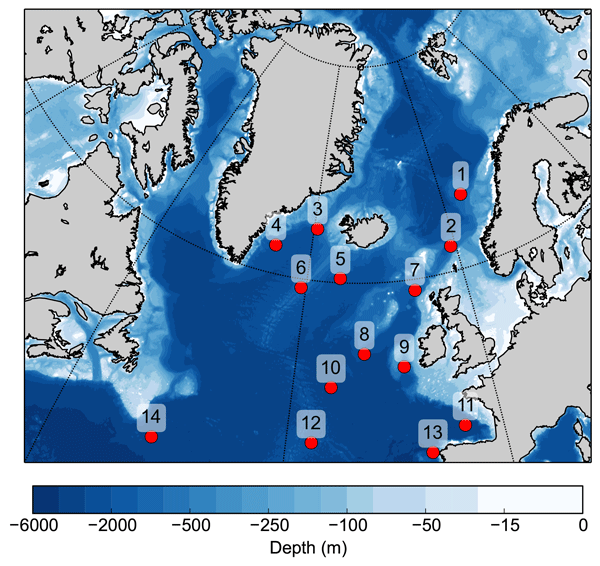 Modern climate analogues were used to explore potential climate mechanisms responsible for the ecological changes. 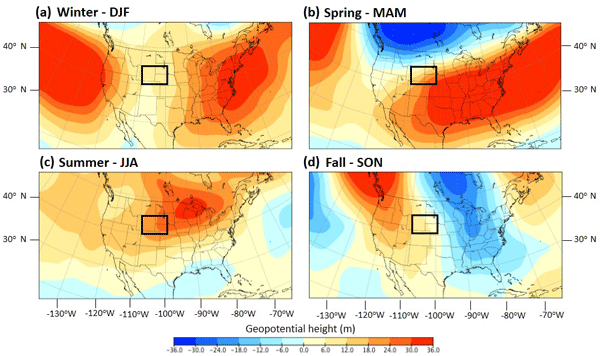 Analogues illustrate that warm and dry conditions persisted through the growing season as a result of anomalously higher-than-normal heights centred over the Great Plains which suppressed moisture transport to the region. 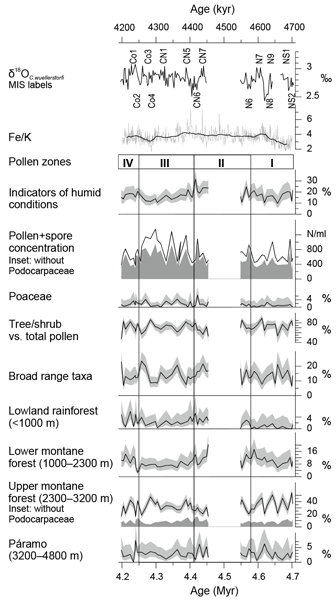 The first high-resolution Lake Dojran pollen record for the last 12 500 years is presented. The ecological succession shows Late Glacial steppe vegetation gradually replaced, since 11 500 yr BP, by Holocene mesophilous forests. The first human traces are recorded around 5000 yr BP and increased considerably since the Bronze Age. Pollen data and sedimentological, biomarker and diatom data available from the same core contribute to an understanding of the environmental history of the Balkans.